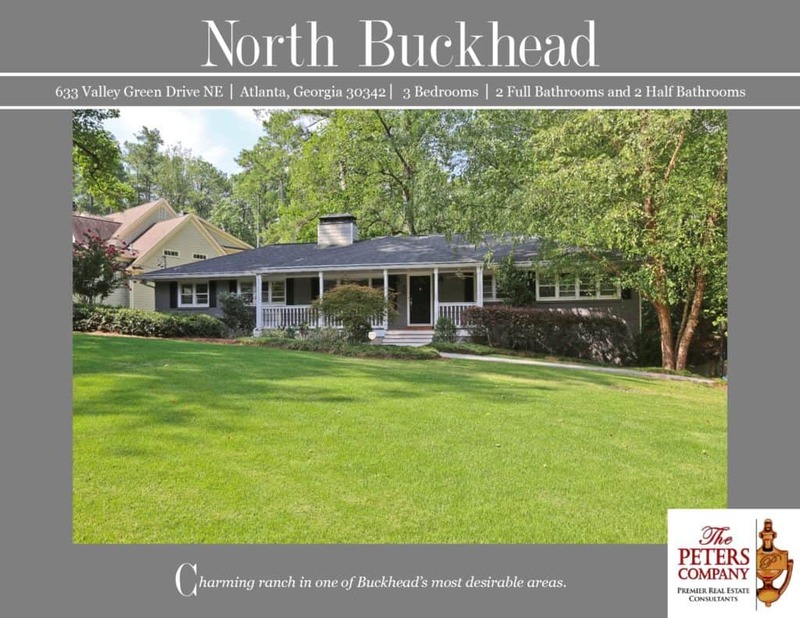 Just Listed :: Charming Ranch in North Buckhead! Welcome Home! Located in one of Buckhead’s favorite areas, this home is just what you’ve been looking for. The custom features and charming character will never go out of style. The close proximity to GA400, Wieuca Road, and Peachtree Dunwoody Road makes it convenient to and from any direction. You will enjoy being close to many well-loved Buckhead restaurants and shopping hot spots! You’ll also love being in the popular Sarah Smith Elementary School district! · A rocking chair front porch is inviting and adds to the charming curb appeal of the home. · Updated kitchen features stainless steel appliances, granite countertops, tile backsplash, and breakfast bar. · Formal living room boasts crown molding, a fireplace, and plenty of natural light. · Spacious family room features built-ins and a cozy gas starter fireplace. · Bonus room is ideal for a home office or playroom. · Master suite is a true retreat including dual closets and a spa-like master bathroom. · Gleaming hardwood floors are carried throughout. · Wonderful outdoor space includes a deck overlooking the large backyard. Call The Peters Company today to see this wonderful home at 633 Valley Green Drive NE… 404-419-3619!